"Our testing devices provide great value, particularly for companies operating fleets of trailers subject to DOT Inspection regulations." 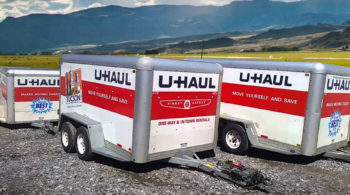 Trailer Rental Companies are subject to DOT Regulations. Due to this, many rental companies perform daily trailer-light inspections. LightsOn Testing Equipment provides an efficient and effective way to inspect large rental lots in a short amount of time. This is because LightsOn Products are high-quality, portable, hand-held devices that mimic the electrical connection between vehicles and trailers. This means trailer lights can be inspected without a vehicle, eliminating the hassle of backing the vehicle and/or moving trailers to get to the one you want to inspect. With LightsOn Products, Trailer Rental Companies can expect an 80% increase in efficiency. Trailer Sales Distributors must stay on top of trailer maintenance in order to avoid roadside DOT inspections and fines. 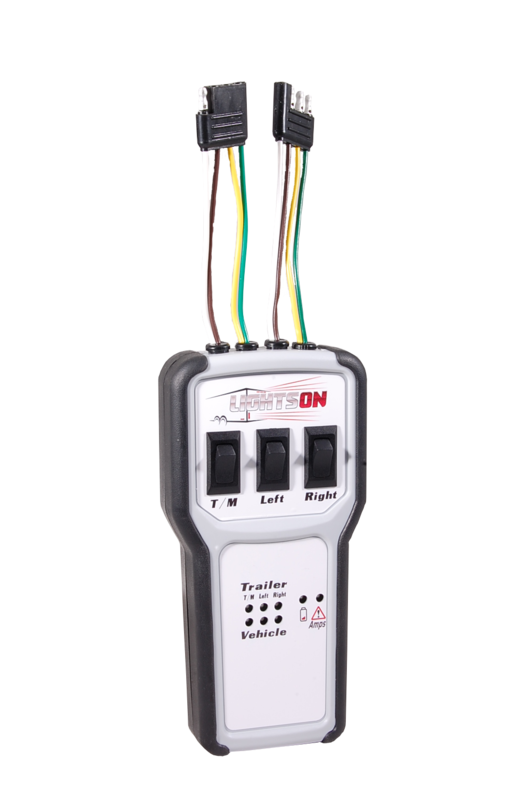 LightsOn Testing Equipment provides an efficient and effective way to inspect large lots of trailers in a short amount of time. This is because LightsOn Products are high-quality, portable, hand-held devices that mimic the electrical connection between tractors and trailers. This means trailers can be tested while stacked. Furthermore, “lighting-bling” installed on higher-end trailers can be shown off more effectively. With LightsOn Products, Trailer Sales Distributors can expect an 80% increase in efficiency as well as a new sales tool. 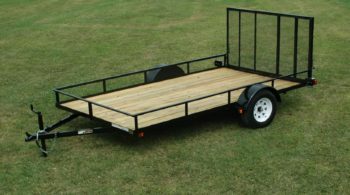 Marine Trailers are one of the largest trailer segments in the country, with over 12.1 million registered. 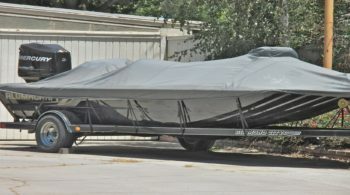 Maintaining these trailers is vital and often the responsibility of Marine Service and Sales companies that provide trailer inspection and maintenance. 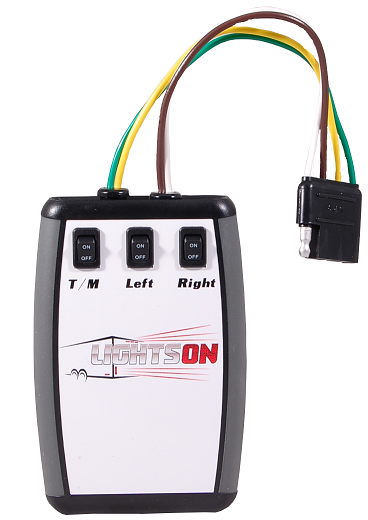 LightsOn Testing Equipment provides an efficient and effective way to inspect many trailers in a short amount of time. This is because LightsOn Products are high-quality, portable, hand-held devices that mimic the electrical connection between trucks and trailers. With LightsOn Products, Marine Service and Sales companies can expect an 80% increase in efficiency and identify electrical problems accurately. 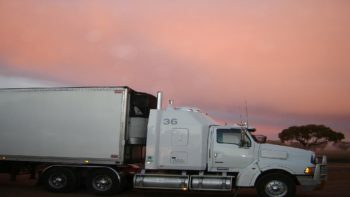 Corporate Trucking Fleets must stay on top of trailer maintenance in order to avoid roadside DOT inspections and fines. LightsOn Testing Equipment provides an efficient and effective way to inspect entire fleets in a short amount of time. This is because LightsOn Products are high-quality, portable, hand-held devices that mimic the electrical connection between tractors and trailers. With LightsOn Products, Corporate Trucking Fleets can expect an 80% increase in efficiency. 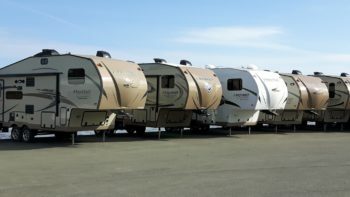 RV Trailer Retailers have large lots of RV Trailers, all of which must be inspected per DOT regulations. LightsOn Testing Equipment provides an efficient and effective way to inspect high quantities of trailers in a short amount of time. 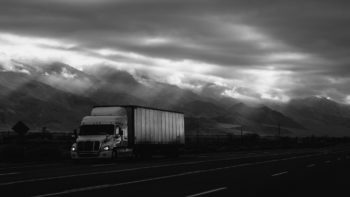 This is because LightsOn Products are high-quality, portable, hand-held devices that mimic the electrical connection between a truck and trailer. With LightsOn Products, RV Trailer Retailers can expect an 80% increase in efficiency. Semi-Truck Maintenance Facilities must check trailer lights and air-brakes frequently. This is often accomplished using a tractor, which prolongs the inspection. LightsOn Equipment provides an efficient way to inspect high quantities of tractor-trailers quickly. This is because LightsOn Products are high-quality, hand-held devices that mimic the electrical connection between a tractor and trailer. With LightsOn Products, Semi-Truck Maintenance Companies can expect an 80% increase in efficiency.